LOS ANGELES--(BUSINESS WIRE)--Actress Jennifer Blanc Biehn joined Jonathan Bennett to star in the comedic horror film DEADLY RETREAT, following the recent premier of their Lifetime movie, THE WRONG WOMAN, starring Danica McKeller. After breaking into show business with the Oscar-winning film “The Artist,” Ben Kurland has signed on to star opposite the two as well. The film is the first full-length feature to be released by Artigoindie and began filming on February 2, 2014 in Idyllwild, CA. Danielle Artigo and Matt Kohler also star in and produce the film. DEADLY RETREAT is a film about employees of a dot com company travel to the mountains for their annual winter retreat. Unfortunately for them, the trip takes a deadly turn when a self-proclaimed serial killer and avid practical joker tries to make a name for himself and targets this group of young professionals for execution. DEADLY RETREAT marks Danielle Artigo’s third feature producing credit in the last six months. Her last film, SHE RISES, which she came on to produce for Blanc Biehn Productions and Lony Ruhman, stars Michael Biehn, Jennifer Blanc, Daisy McCrackin and Angus McFadyen of AMCs' new series TURN and is currently in post-production. Matt Kohler and Barry Alexander have also joined the producing team as Producer and Co-Producer, respectively. Jennifer Blanc-Biehn can be seen in WRONG COPS, currently in theaters, and in Joe Lynch’s black listed script EVERLY, co-starring Salma Hayek and Gabriella Wright, coming to soon theaters. Jennifer Blanc Biehn of Blanc Biehn Productions has four films in post-production coming out soon and begins filming just after DEADLY RETREAT, the sequel to THE NIGHT VISITOR, starring Jennifer Blanc and Mark Gantt, directed by Brianne Davis of True Blood. Jennifer Blanc-Biehn, born and raised in New York City, attended the Professional Children’s School and has been acting consistently since she was a little girl. At the tender age of 13, Jennifer was on Broadway in Neil Simon's Brighton Beach Memoirs working alongside Jonathan Silverman, Fisher Stevens, and Robert Sean Leonard. She’s worked on Broadway and appeared in dozens of television shows and movies over the past thirty years such as Dark Angel, Party of Five, It’s Always Sunny in Philadelphia, CSI and so much more.. 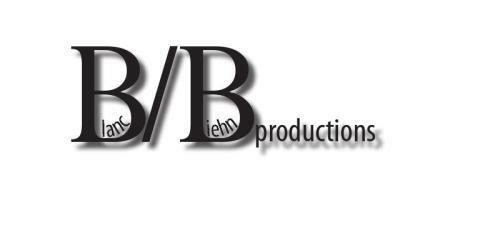 They many have films in the pipeline for 2014-2017 Blanc Biehn Productions is the partnership of famed actors Michael Biehn and Jennifer Blanc-Biehn. The pair decided to put their passion for acting and filmmaking together, creating their own production company. The duo produced and starred in Biehn's directorial debut, THE VICTIM, a film which co-stars scream queen, Danielle Harris. The company also produced recently finished post-production on TREACHERY and Jennifer Blanc-Biehn's directorial debut THE NIGHT VISITOR. 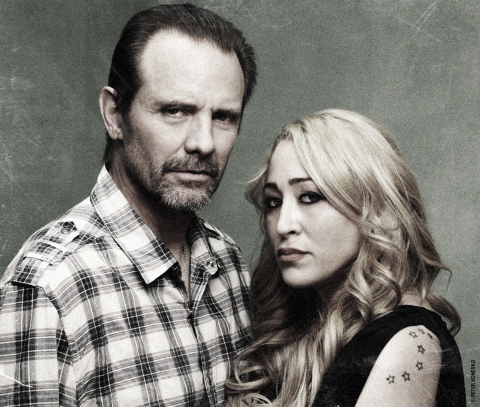 They are currently in post-production on HIDDEN IN THE WOODS REMAKE and THE GIRL, starring Biehn and Tia Carrere. Other films in development include ALTERED PERCEPTION, SHE RISES, starring Angus MacFadyen, THE NIGHT VISITOR 2, GET BACK JOE and PSYCHOPHONIA, with 2013 Nicholls Fellowship winner Barbara Stepanski, and more. Stay tuned for more releases on their slate as well as festival screenings, also look out for a new list of fabulous and added directors to their roster.